The number of Firefox users increased by almost 50 per cent in 2006, web statistics show. 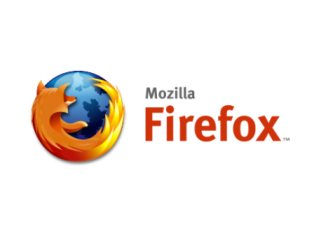 Fourteen per cent of web users used Firefox, Mozilla 's open source web browser, at the turn of the year. That figure is up by 46 per cent compared with the 9.6 per cent that used Firefox in early 2006. According to web statistics firm Net Applications , the increase in Firefox users is partly due to the release of Version 2.0 of the popular web browser in October. The biggest loser in terms of web users is (unsurprisingly) Microsoft . Despite releasing a new version of its browser software, Internet Explorer 7 , during 2006, its market share has dropped from 85.1 to 79.6 per cent during the past year. Thanks to increased sales of Mac computers, use of Apple 's web browser Safari is up from 3.1 to 4.2 per cent. The Opera web browser also increased its number of users, from 0.6 to 0.9 per cent of total web users. This figure is helped by deals that Opera has made to link its browser to mobile phones and gaming consoles. AOL 's Netscape web browser also lost users. Its market share decreased from 1.24 to 0.9 per cent during 2006.